Wharekauhau Lodge, Wairarapa, New Zealand. Ranked #11 in our countdown of the 100 Best Hotels and Resorts in the World. 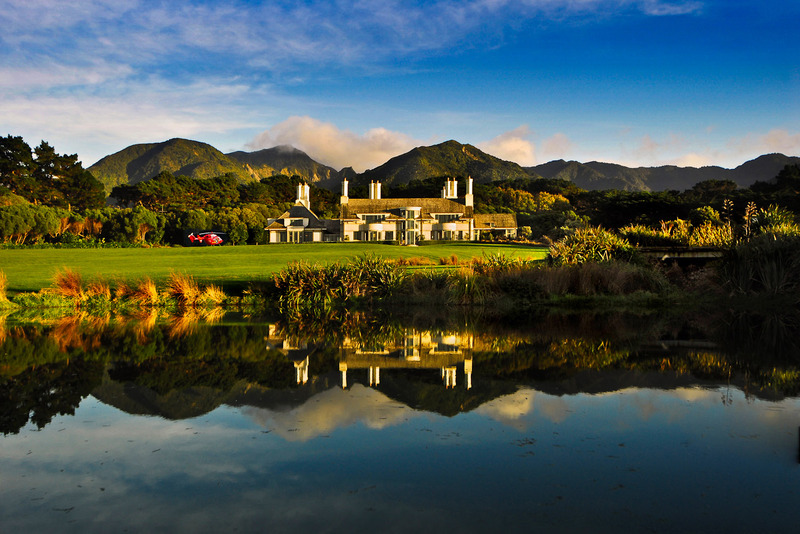 You could really believe you’re landed gentry, settling into a cosy corner in the lodge at the heart of Wharekauhau’s 5000-acre sheep and cattle property. The Edwardian-era lodge is equal parts historic charm and laidback style, with views over the paddocks that ripple down to Palliser Bay. The cottage suites are all clotted cream and pale buttery yellow with natural fibres, plump sofas and dreamy four-poster beds. Activities run the gamut from trekking, archery, quad-biking and clay-target shooting to exploring the heritage farm or lapping the heated indoor pool. Herbalist Sarah Beesley’s unique organic range is a particular treat at the spa. And the food is a triumph – sublime local fare, fresh-as-fresh and smartly modern (warm gingerbread with roasted tamarillo – yum!) matched with fine wines. Did you know Wharekauhau is pronounced forry-ka-how (it means ‘land of glistening waters’ in Maori).